I’m not going to reblog all of these but just while the blog is starting I thought it was a good idea. So now we get to a terrifying moment of my childhood- watching Pinocchio. And on a rewatching I have to say I was perfectly valid in being scared! It’s kind of a nutty movie but in a way I now find quite brilliant. Bambi was originally meant to be Disney’s second animated film but with delays that honor went to Pinocchio. 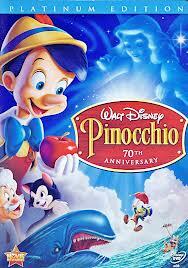 It debuted in 1940 and was initially a huge flop. It wasn’t until a re-release in 1945 that the studio began to make back it’s investment. It won Oscars for Best Original Score and Best Original Song and is considered by some as Walt’s masterpiece.